Edinburgh International Magic Festival is an annual arts festival that celebrates magic. 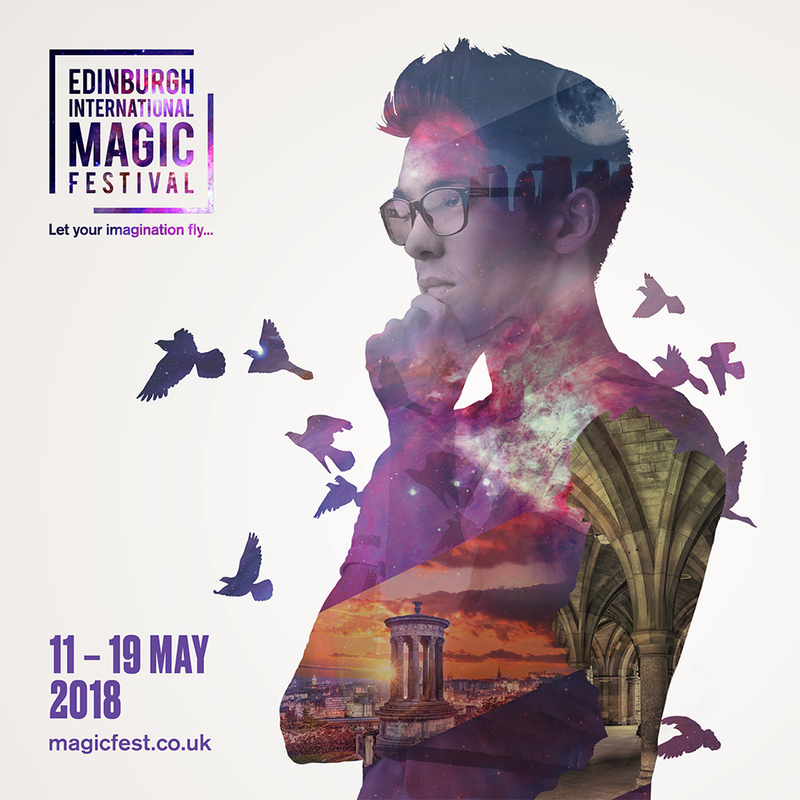 Since conception in 2010, MagicFest has welcomed over 60,000 visitors and has grown to be the Europe’s biggest festival of innovative and cutting-edge magic, leading the charge in the newly developing market of Magic Festivals appearing around the world. Every year this week-long festival attracts over 10,000 people at 80 different events across the city from free installations to the world-class Gala show at the Festival Theatre. The programme is balanced to reflect the best and most exciting magic from around the world alongside the very best in home grown work, aiming to amaze, inspire, provoke and entertain. The Festival is also producing new work which celebrates Edinburgh’s unique historic environment and impressive cultural heritage in a very innovative and exciting way. “Imagination is more important than knowledge” – Albert Einstein . We exist to nurture, celebrate and promote the limitless possibilities of human imagination. We aim to achieve this via the medium of magic and the theatrical arts; of optical illusions and interactive installations; and of the broad range and spectrum of related human expressions and ingenuity. We commit to develop a core tribe that embody these values, that will commit themselves wholly to the established objectives, and that will work to bring imaginative thinking and practices to every part of the globe, and every aspect of human activity. We believe that imagination is the most important faculty and the most powerful superpower bestowed on humans. Come join us…and let your imagination fly! Founder and creative spine of the Festival. Ian Black, Sam Weston and our whole amazing volunteer team who really do make this event the most awesome magic festival in the world.